Here's how to get hold of them both. Our Apex Legends guide to unlocking Caustic and Mirage will explain how to unlock both Legends with Apex Coins or Legend Tokens. Apex Legends is home to a roster of eight Legends, each kitted out with unique abilities which fit all sorts of playstyles. Boot up the game for the first time though, and you’ll only be able to choose from a total of six Legends. Both Caustic and Mirage are locked behind and paywall and you’ll need to unlock them first before you can take them into battle. Caustic’s best described as a toxic trapper who deploys nox gas to poison his enemies and control the map. Meanwhile, Mirage is a trickster who confuses enemies by throwing out decoys and spawning multiple clones of himself. Like anyone else who’s into the game, you’ll want to get hold of them as quickly as possible. To unlock both Caustic and Mirage, there are a couple of ways you can do so. One is significantly quicker than the other, and below we’ll take you through both options. 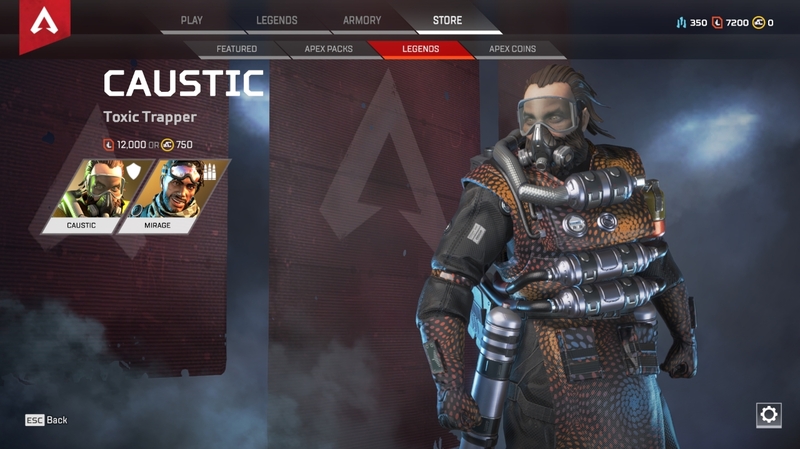 To get Caustic and Mirage, you’ll need to either fork out real world currency in exchange for Apex Coins, or buy them with in-game currency known as Legend Tokens. Both Legends cost 750 Apex Coins each, so that’s 1,500 Apex Coins in total. 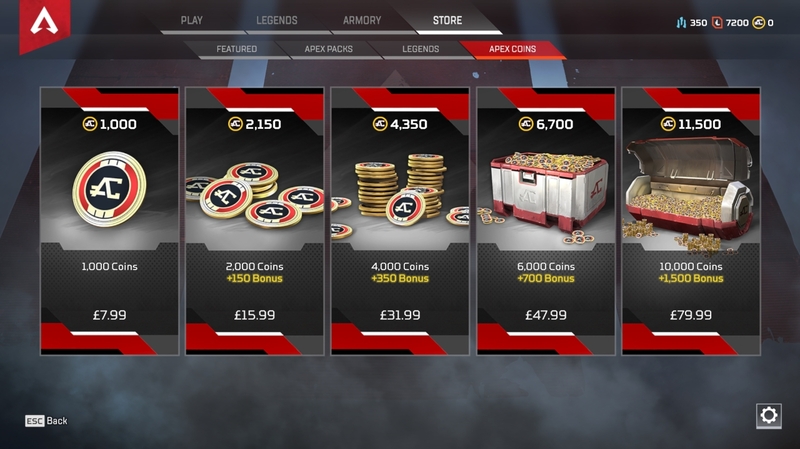 You can’t actually purchase the exact amount, so you’ll need to buy 2,150 Apex Coins for £15.99 to bag them. Once you’ve purchased the Apex Coins, all you’ll need to do is unlock them in the store and they will be available to play immediately. Caustic and Mirage cost 12,000 Legend Tokens each, which means you’ll need a whopping 24,000 Legend Tokens to unlock them both. You’ll unlock Legend Tokens every time you level up, so prepare for a lengthy grind to reach the required amount. Expect to be nearing level 30 or above before you unlock one of the two.